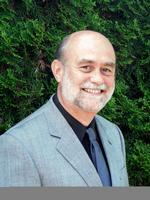 Alan Crane holds a Bachelor of Music (University of Western Ontario) and Master of Music in Piano Performance (University of British Columbia). For over thirty-five years he has been teaching a full class of students ranging from young beginners to pre-professional young musicians, to adults. Many of Mr. Crane's students have gone on to pursue careers in music. In addition to being on the Faculty of the Vancouver Symphony Orchestra School of Music, where he recently completed a term as Chair of the Piano Department, Mr. Crane teaches part-time at the Langley Community Music School where he served for many years as Coordinator of the Piano Program. As well as teaching, Alan Crane is an active performer. He is a founding Director and pianist with the popular Vancouver concert series West Coast Chamber Music, is a sought-after accompanist, and has presented numerous solo recitals in Canada and the UK. He is also active as a festival adjudicator and is a member of the Canadian Music Festival Adjudicators Association and the College of Examiners of the Royal Conservatory of Music. 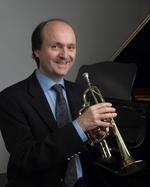 Alan Matheson is a Vancouver-based pianist, trumpeter, composer, and arranger. He teaches at the music schools of the University of British Columbia and Vancouver Community College where he is an instructor in jazz piano and trumpet, and at the Vancouver Symphony School of Music where he lectures in jazz history. He is a graduate of Northwestern University in Evanston, Illinois, and studied with Vincent Cichowicz. Alan has also studied with Stephen Chatman, Barbara Butler, Joe Newman, and Clark Terry. Alan also leads his own big band, nonet, septet and trio, and has written arrangements for jazz legends Clark Terry and Bud Shank. As well, Alan has conducted big band tributes to Duke Ellington, Paul Whiteman, and Louis Armstrong. He also performed with the Vancouver Symphony Orchestra, Lous Bellson, and Phil Woods. Alan's compositions has been performed by Juia Nolan (saxophone), Sal Ferreras (percussion), David Palmer (pipe organ), and Martin Hackelman (horn). His arrangements for big band have been performed by the Tulane University Jazz Ensemble and the Northwestern University Jazz Ensemble. Alan's first CD "Intrada" was released in 2004 and his newest CD's "Duetti" and "Summer Evening" (recorded in Finland wiht bassist Wade Mikkola) were released in 2013 and 2015 respectively. Alan's septet as featured along with the Pacific Baroque Orchestra at the 2016 Vancouver International Jazz Festival where they premiered Alan's composition "Chaconne" for baroque and jazz chamber ensembles. In December 2017, Alan and bassist Wade Mikkola released a new CD ("Souvenirs") celebrating the music of the esteemed Finnish composers Jean Sibelius, Toivo Karki, Erik Lindstrom and George de Godzinsky. Norene Morrow began her career in the arts by singing in choirs, music festivals, concerts, and stage productions. That led her to study music more seriously, earning performance degrees fdrom the University of Manitoba (B. Mus.) ad the University of Arizona (M. Mus.). From there, she went on to teach university level vocal and choral music at both her alma maters, as well as Algoma University (Sault Ste. Marie), Mennonite Brethren College (Winnipeg), and Steinbach Bible College. Since moving to the Okanagan in 2001, Ms. Morrow has taught in community music schools in Penticton, Kelowna, and Vernon. Choir directing positions have included St. Michael and all All Angels Cathedral (Kelowna) and Musaic Vocal Ensemble (Summerland). Although her background started out fairly traditionally, her musical training, along with her skills in a variety of art and craft mediums, has taken her on a journey in ways she could never have imagined. 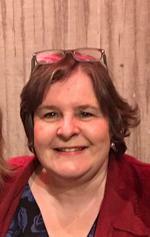 For the last ten yeras, Ms. Morrow has been associated with Kelowna Actors Studio (a dinner theatre and performing arts school) where she has been head of the set decor department, a costumer, a props maker, and of course a music director and performer. Some favourite shows and roles include Anne of Green Gables (Marilla), Fiddler on the Roof (Golde), South Pacific (Bloody Mary), The Music Man (Mrs. Paroo), and Into the Woods (Jack's Mother). Ms. Morrow also teaches musical theatre performance classes for the KAS Academy and gives workshops in performance skills and auditioning. She has prepared many young hopefuls for theatre school auditions and has seen a number of them go on to careers in the industry. This season, Ms. Morrow has taken a break from her work at KAS but continues to teach a large private voice studio and has two exciting new projects on the go. She is hte director of a new theatre ministry at her church and is working toward earning her teacher's diploma in Speech Arts and Drama from the Royal Conservatory.